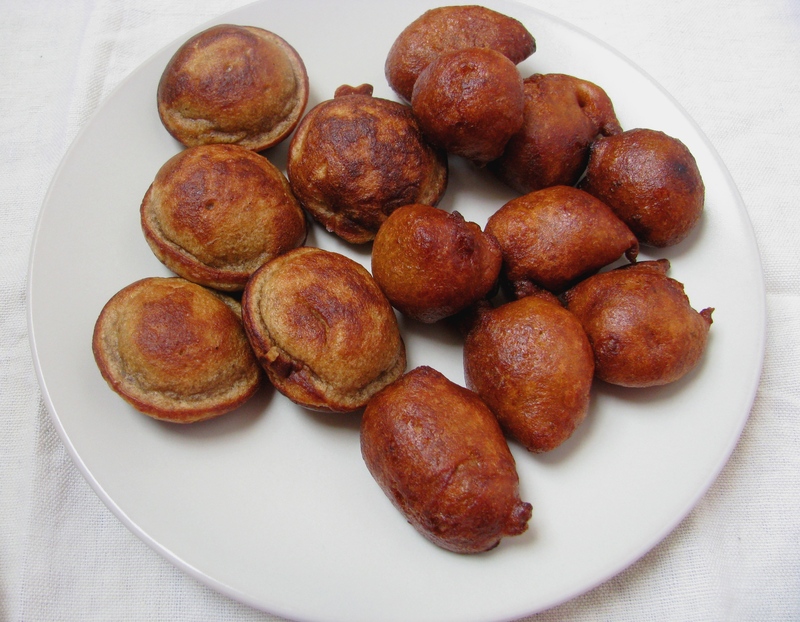 Gulgula or Gulgule are sweet Fritters ( mitha pakora) made either plain or with Banana . This Banana Fritters or Plain sweet Fritters are called as Gulgula in hindi .Gulgula is also called as Gulgulay in north India and Pakistan. This whole wheat flour Fritters are made in many Indian festivals and occasions. Gulgula prepared during Navratri especially on Ashtami and Navmi Aarti , Akshay tritiya , Holi , during Shradh month and also as tasty evening snacks . Every year my mom used to make it in Navratri Ashthami Aarti and the first thing to get finish on that day . This festival recipe doesn’t take much time and very easy to make .Sweet Gulgule served at the time of Pakistani Weddings especially on Dholki Nights .It is also served in Ramadan. The origin of this recipe is actually Arab / Persia where it is called as Luqmat-ul qadhi . Many people use Maida or Refined flour ( all purpose flour ) to make this recipe . I make Gulgula with whole wheat flour and there is no difference in taste. the only difference is colour, whole wheat flour Gulgula looks more brown than gulgla made from maida (refined flour). Gulgulay can be made plain or with Banana . 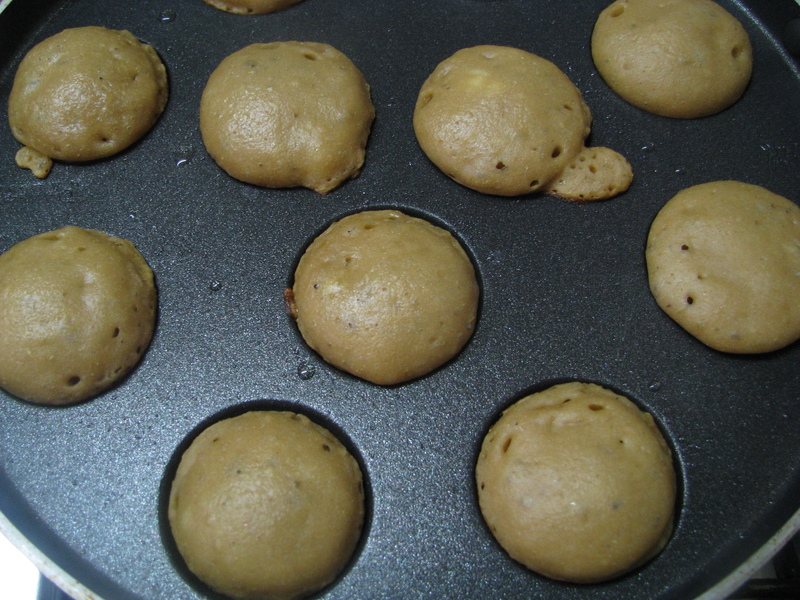 Banana Gulgula are spongy with a good flavor of Banana . Plain Gulgula are made in jaggery water or sugar water . For flavoring you can add cinnamon and nutmeg powder or fennel seed and cardamom powder ,don’t add all 4 flavoring ingredients together .Fennel seed powder goes well with cardamom powder and nutmeg goes well with cinnamon powder . Fried Gulgula is the traditional to way to cook this sweet pakore/ Fritters. Gulgula tastes best when it is fried in ghee (clarified butter). You can also use any oil without any flavor to fry it . 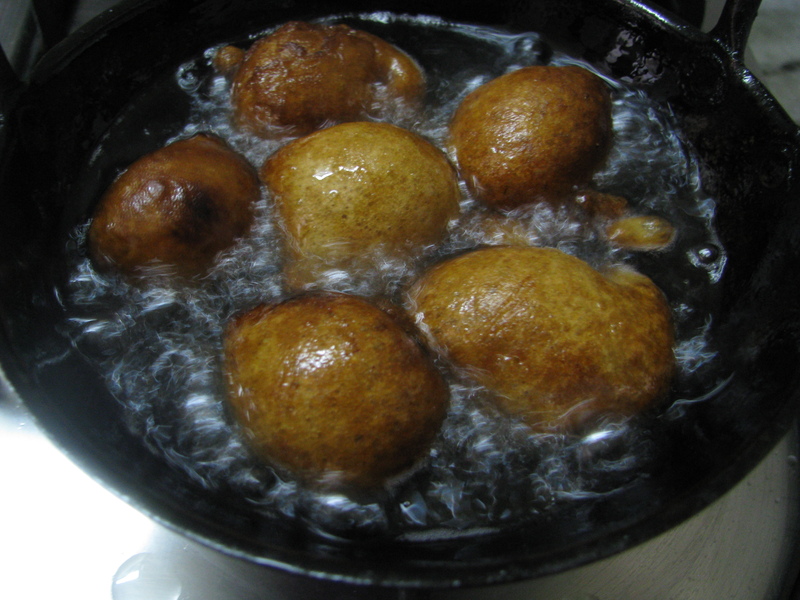 while frying Gulgula keep the flames medium to low . sugar and jaggery caramalise very fast in high temperature , on high flame outer coat of Gulgula turns brown very fast and inside it remains raw . fry it patiently on low flame . 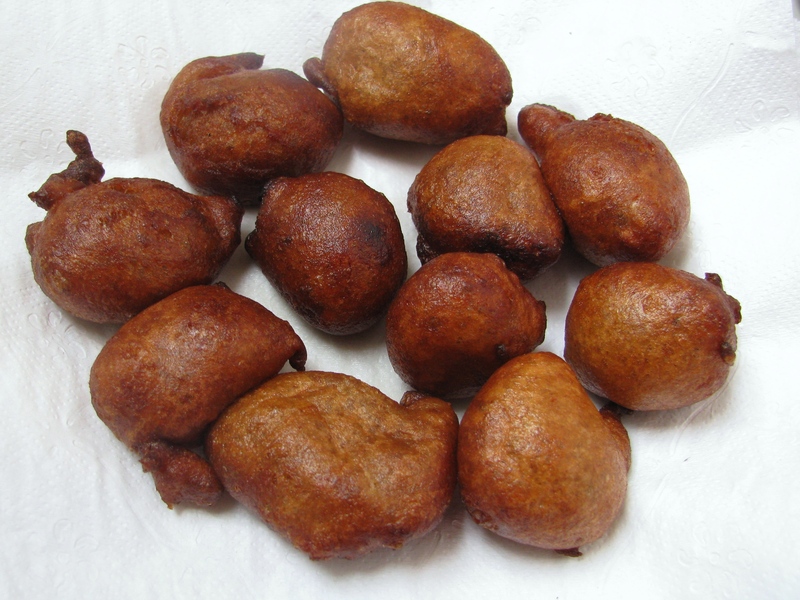 Non fried Gulgula- ingredients to make Gulgula (Banana Fritters )are very healthy . it is made up of whole wheat flour which contains good carbs and high fiber ,at the same time we are adding Banana and jaggery to it ,which makes it very healthy tea time snacks . as it is fried recipe it contains lot of calories in it .to make it low in calories u can make this snacks non fried by making it in non stick Appam Patra / Paniyaram Pan Patra . in this Appam Patra u can make it with or without oil or ghee. this non fried Gulgula tastes good and are low in calories. If you want to make Banana Gulgulay / Fritters ,Use ripe Banana to get the good flavor and and soft Gulgulas . Don’t add milk to make the batter. Jaggery and milk when combined and heated it cuddles the milk and it tastes bad. Remember to add proper combination of fennel seeds( Badi saunf) and cardamom (elaichi / welchi)or cinnamon (dalchini)and nutmeg (jaiphal) or Fennel seeds(saunf) and carrom seeds (ajwain) don’t add all of them together in Gulgula recipe. Banana makes Gulgula very spongy, if you don’t like Banana flavor you can make it without Banana just add 1 teaspoon baking soda in place of ½ teaspoon. Grate the Banana when your adding it in Gulgula batter.Otherwise it will turn black. Try to use ghee for frying it gives very nice flavor to Gulgulas. Don’t fry Gulgulas on high flame . 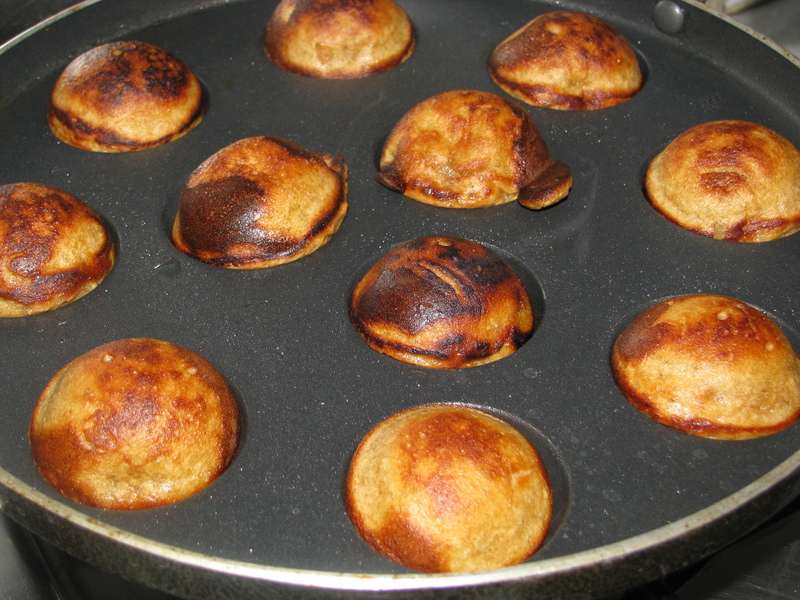 If your making non fried Gulgulas in Appam Patra , keep it on lo flame while cooking. Taste the Gulgula batter before making Gulgula if you find it less sweet add sugar or jaggery to it. Many people make gulgula in variety of ways .Pakistani style gulgula are also made in same way the only difference is in flavoring ingredients, they add badi saunf and ajwain to make plain gulgula . Both ajwain and saunf are good for stomach and this recipe is generally made in rainy season needs this ingredients. I have tried this recipe and it was just awesome. I didn’t add banana in this gulgule. 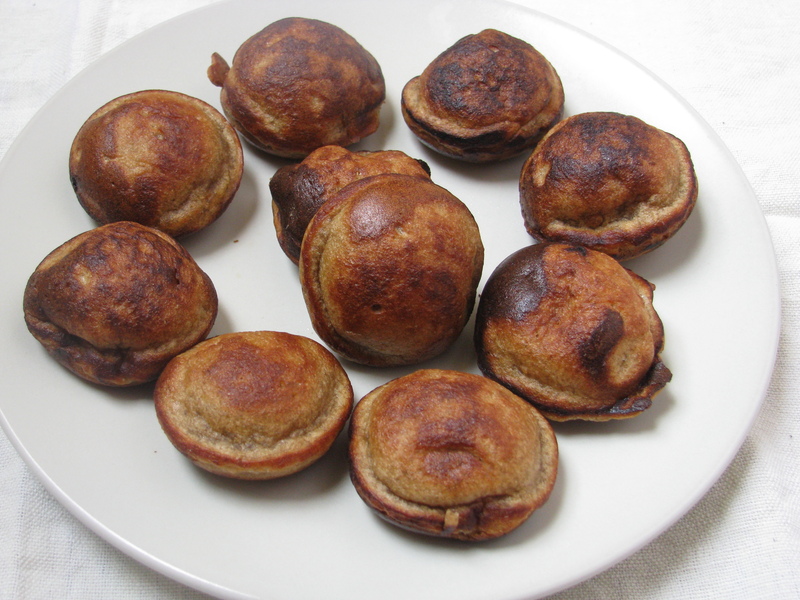 Gulgula made in Pakistani style is also made from whole wheat flour ( atta) and jaggery . This is a traditional recipe and prepared with lot of variations. In India many people add fresh coconut pieces in gulgula batter. In coconut gulgula all the ingredients are same which I have explained to make banana gulgula (banana fritters), just add small pieces of fresh coconut to it. Mix all the ingredients except banana and make a thick batter.Make the batter thicker than Cake batter.Keep it aside for 1 hour. 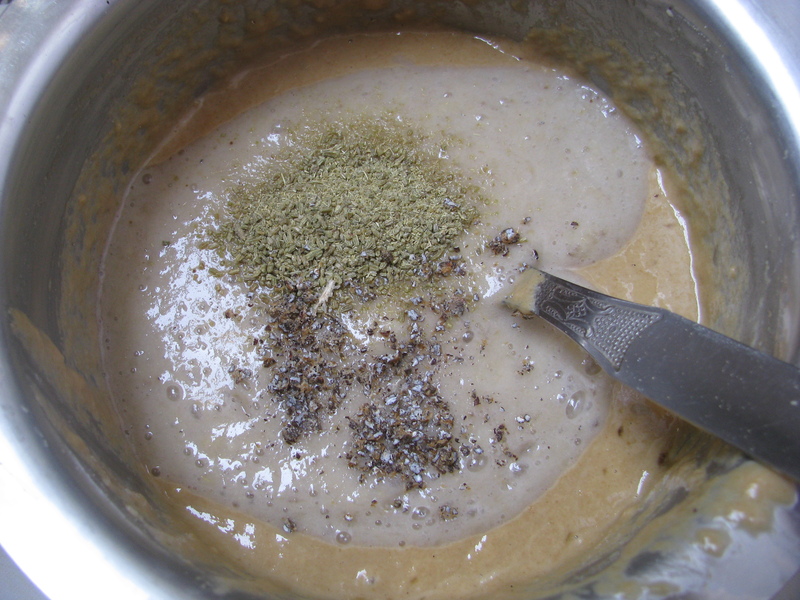 Grate or grind 2 ripe bananas and immediately add it into this batter.Mix it well. Add cardamom powder (Elaichi powder)and Fennel seed powder( saunf powder) or Nutmeg Powder (jaiphal powder) and cinnamon powder . 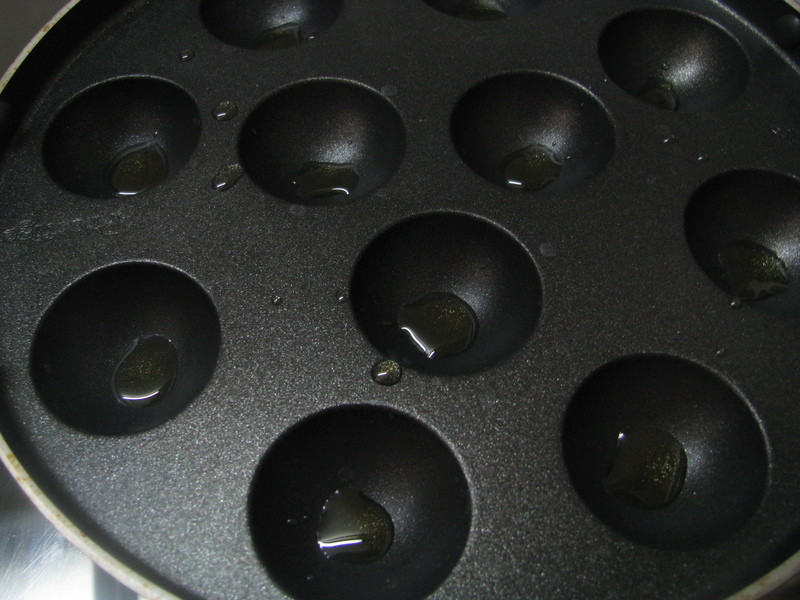 Heat ghee or oil in a frying pan drop tablespoon size thick batter into the oil or ghee and fry it on medium to low flame turning it continuously for 3-4 minutes or until it becomes brown evenly ..don’t fry it on high flame as it will become brown very fast and from inside it will remain sticky . Remove it from oil and keep it on tissue papers to remove extra oil. To make Non fried Gulgula or Non fried Banana Fritters .Heat non stick appam or Paniyaram Pan Patra add little ghee (clarified butter) in its appam cavities . 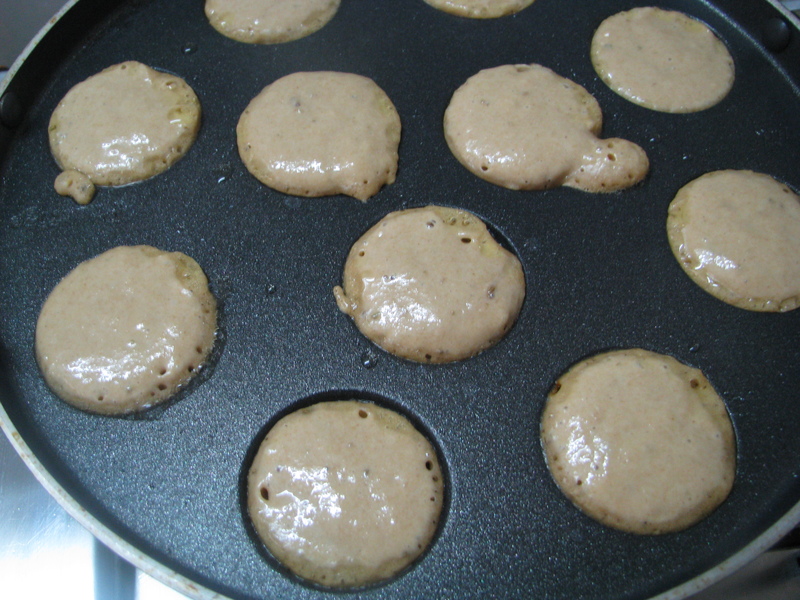 Pour gulgula batter in each appam cavity . Turn each Gulgula and roast it on other side . Non fried gulgula are ready to serve . Do share your comments and suggestions for this recipe .